Please take note that an enquiry is not an official booking. No accommodation is confirmed unless a deposit has been received. 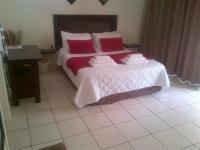 To secure your booking a minimum of 50% deposit is required at the time of reservation. One day bookings require full payment. Credit card facilities is available through Paybridge payment gateway. Should you... Please take note that an enquiry is not an official booking. No accommodation is confirmed unless a deposit has been received. To secure your booking a minimum of 50% deposit is required at the time of reservation. One day bookings require full payment. Credit card facilities is available through Paybridge payment gateway. Should you wish to make a credit card payment, contact us for assistance. Please Note: Your credit card statement will have the words “Paybridge Accommodation” as the reference. Proof of payment via EFT or Direct deposits must be faxed. May you have a pleasant day and please feel free to contact me for any further information. Kindly take note of the booking/payment terms at the bottom of the e-mail. Friendly people and comfort stay. I really enjoyed my stay it was very peaceful and accommodating, the staff are very professional definitely would recommend this place. 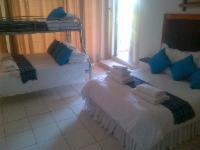 Geelhout Guest House is 1.2km from the centre of Bela Bela (Warmbaths) , the nearest airport 105.8km (Waterkloof AFB Airport).